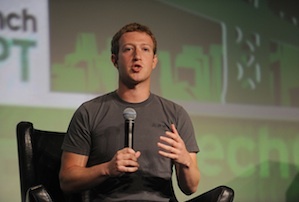 The normally private tech entrepreneur will be answering user questions on Facebook (duh) tonight. Facebook’s Mark Zuckerberg will tonight host his first ever public Q&A about the social network, inviting users to contribute questions on his page. Almost 9,000 questions have been asked at last count – so don’t be too optimistic about getting a response if you’re thinking of posting. The company irked some users earlier this year by making them download a separate app for sending private messages, a feature which used to be included in its standard app. The move caused controversy when it emerged the app requires access to your calls and text message data to function, although it denies this is to invade your privacy. Perhaps most annoying though is the bubble which pops up on screen every time you get a message and is a bit of a pain to get rid of. Anyone who runs a Facebook page for marketing purposes will be familiar with this headache. Our newsfeeds used to be a chronological list of all the things posted by friends and the pages we follow, but as the volume of content posted on the site grew, Facebook introduced an algorithm to curate what we see based on our interests and how popular a post is. As a result many Facebook pages have seen their effectiveness as a promotional tool diminish. This has been a topic of much debate as Facebook battles to remain relevant to younger audiences. Once a sanctuary for young people to communicate with each other, Facebook has increasingly become colonised by the middle aged, arguably leading to an exodus of teenagers to more private messaging apps. Hence why Facebook was willing to fork out $19bn (£11.9bn) for WhatsApp back in February. Some of the questions were a little more trivial, including how to disable Candy Crush requests (which are admittedly extremely annoying) and, predictably, whether Facebook will be introducting a 'dislike' button (almost certainly not). MT will be watching with bated breath to see which of the questions Facebook's comms army deem appropriate for Zuckerberg to answer. Whether he'll actually answer any directly or go all politician on us remains to be seen.